What do you do as an ex Taoiseach? 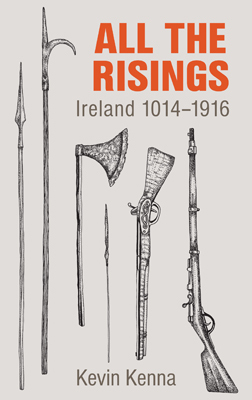 John Bruton got busy. He worked as EU Ambassador to the USA, vice president of the EPP, and is today Chairman of IFSC Ireland. He also made time to reflect on and observe domestic politics, the Irish economy, and the ongoing necessity for reconciliation between not only our two main traditions on this island but also between the constitutional nationalist tradition and the republican tradition. The future of the EU and its place in the world, personal Faith in the public sphere, and the global environment have also been major concerns. 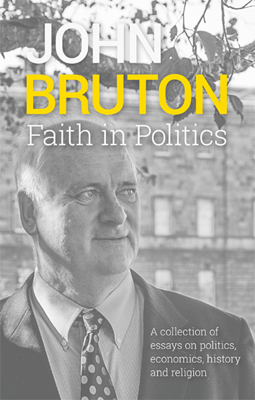 This book gathers some of the opinions and ideas of John Bruton from 2010 to 2015 first delivered as speeches, articles, and blogs, and presents them as a contribution to our ongoing public debate on Europe, World Affairs, the Centenary of Commemorations, the Economy, Religion, and the Environment. Included are a selection of Book Reviews which give people a further insight into the man who served us in so many ways. John Bruton was first elected to Dáil Éireann, representing the Meath constituency, in 1969. He served as Minister for Industry and Energy, Minister for Industry, Trade, Commerce and Tourism, Minister for Finance, and Minister for the Public Service. In 1990 he became leader of Fine Gael and was elected Taoiseach in 1994. Since leaving elected office in Ireland he has served as the EU Ambassador to the USA (2004—2009) and continues to contribute to public debate both in Ireland and internationally.